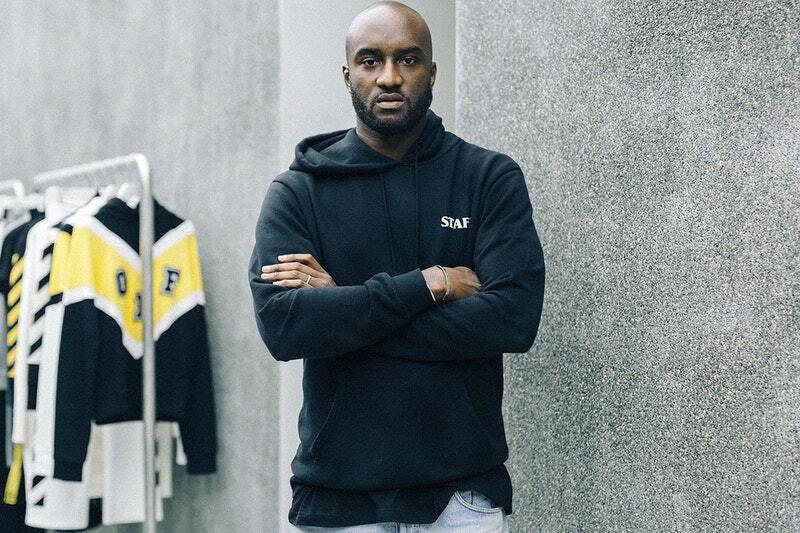 Artist Takashi Murakami’s instagram post has showcased a first look at possible Virgil Abloh creative output for Louis Vuitton. On the pic Abloh is seen wearing a leather shoulder bag emblazoned with the Louis Vuitton monogram. Blue accents appear on an adjustable strap, hang tag and front pouch, with the main pocket seemingly hidden by a clasp. Although Virgil says in the comments section that the bag was made by Kim Jones and not himself, fans speculate that this might be the first product to get some work done.